Disciple of Christ. Writer. Laugher. Friend. Depending on the size of containers you use, adjust the amount of coffee and the amount of water used. 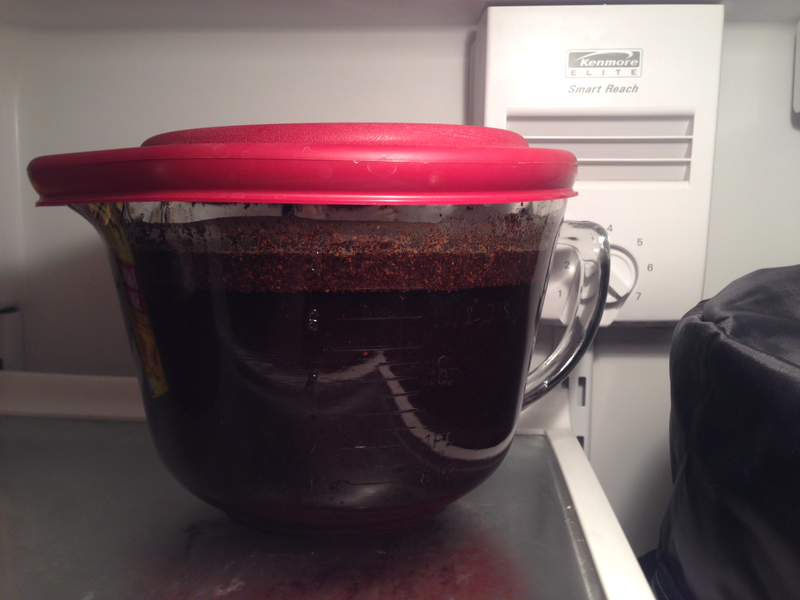 After pouring the cup of coffee grounds into the container, immerse them in 2 quarts cold water. Make sure all the grounds are immersed. It may be necessary to push the grounds into the water with a spoon. Steep the concoction for at least 8 hours in the refrigerator. 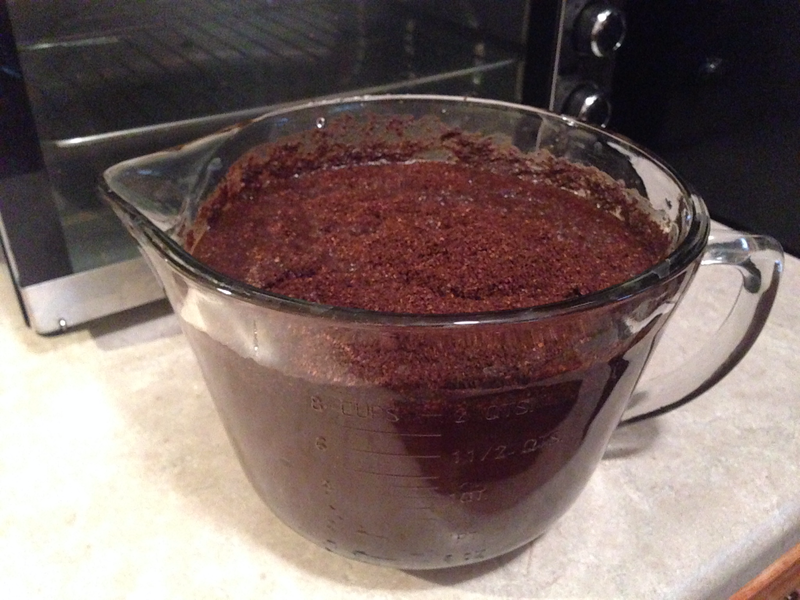 For a stronger brew, try the following: Use more coffee grounds or steep the mixture longer. Steep for at least 8 hours in the fridge. 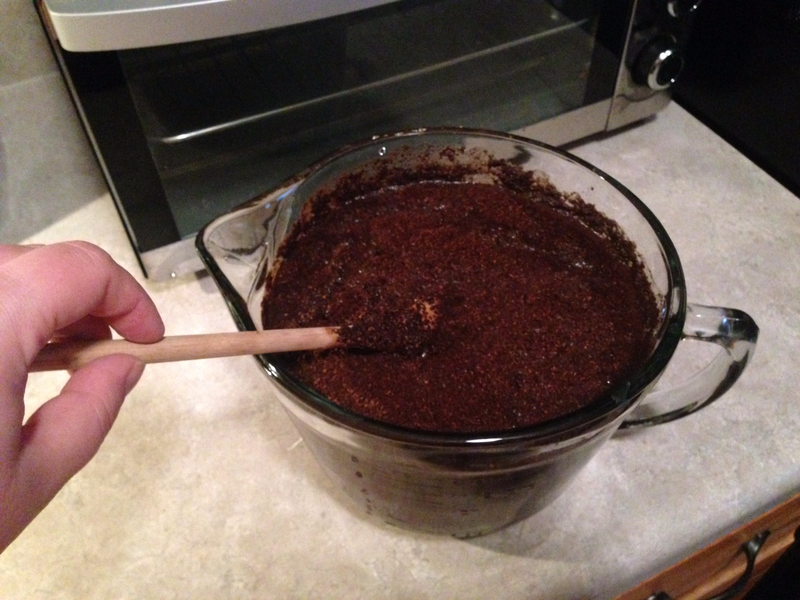 After 8 hours of steeping (or longer, if preferred), remove the mixture from the fridge. Using a comparably-sized container, strain the water and grounds mixture to separate the grounds from the liquid. 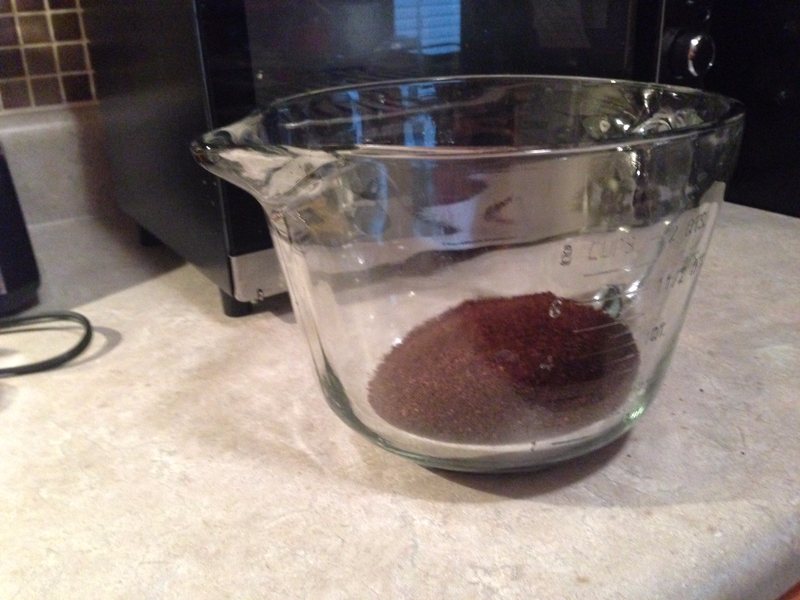 Even while using a fine mesh strainer, grounds may still escape into the mixture. 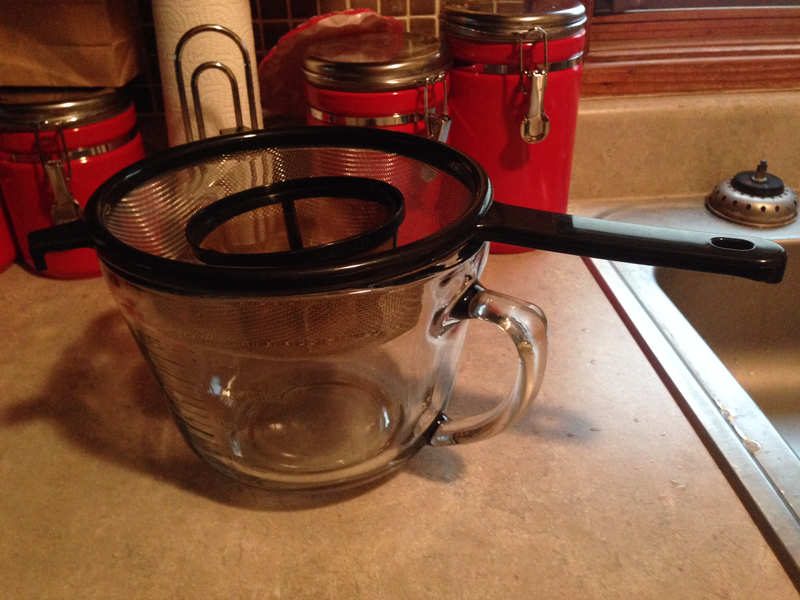 It’s recommended to use additional coffee filters or cheesecloth in addition to the fine mesh strainer. Store the fresh iced coffee liquid in a storage container. Enjoy! In the early years of my coffee consumption, I drank it black. It was quite the shock to go from no coffee to strong, black coffee. But I adjusted well. As time has gone on, I’ve migrated to creamer, half and half, milk, Bailey’s, whip cream, and even sprinkles on occasion. And I still drink it black, too. Whatever I’m in the mood for that day dictates what type of coffee I drink. While my love for hot coffee measures high on the coffee Richter scale, my affection for iced coffee also has ample admiration. Sadly, a delicious cup of iced coffee is quite pricey when to compared to a cup of house blend, drip, black coffee. Although I usually reserve the iced coffee experience for the times I venture to a Starbucks, Scooters, Caribou, or some other random coffee shop, I wanted to be able to experience ice coffee at home. So I took on a research project. Apparently there are a variety of ways to make iced coffee. And further apparent, the “cold brew and steep” way of making iced coffee is the best way. As with most things, this required an investment up front. I did not have containers big enough to make a substantial amount of iced coffee so I had to buy them. The cost to fund my caffeine habit wasn’t exorbitant, but it definitely added several pennies to the typical grocery bill. This investment in kitchenware will save me money later on. I won’t have to go to a store to get iced coffee. After a few batches of iced coffee on the cheap, my investment will pay for itself. I look forward to discovering new ways to flavor the iced coffee and fine-tuning the recipe. Hot summer days will never be the same. Rather than sweating through a cup of hot coffee, I’ll be chilling to a cup of iced coffee instead.